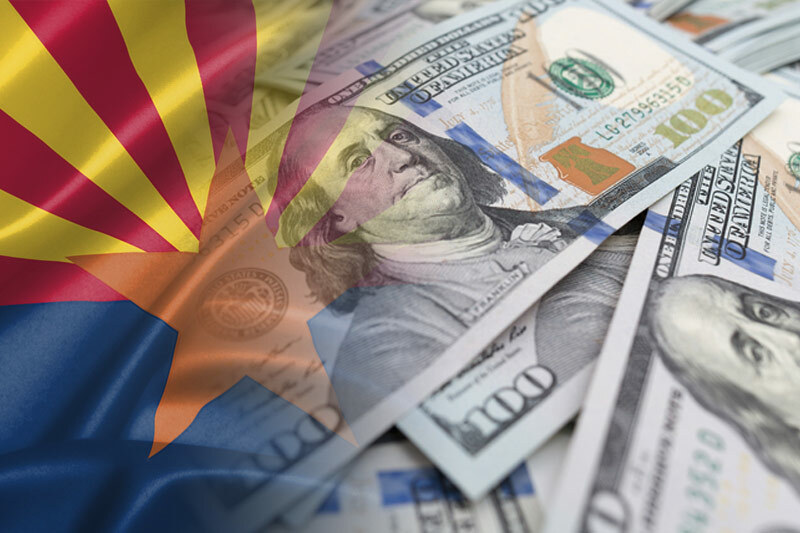 Spending in the gubernatorial primary has already made the 2014 race for Arizona governor the most expensive contest ever for the state government’s top job, an Arizona Republic analysis shows. The record-shattering $16.2 million spent in the primary was fueled by two wealthy Republican candidates who pumped millions of their own dollars into their campaign, as well as record spending by outside groups. Political observers and the campaigns also attribute the record numbers to a wide-open governor’s seat that attracted a big field of Republican candidates, as well as higher contribution limits that took effect this cycle. The spending spree filled the airwaves with thousands of candidate advertisements that were unavoidable on late-night TV and drive-time radio. Candidates accounted for $13 million, while outside groups spent about $3.2 million. The spending — mostly by the Republican candidates and groups supporting or opposing them — eclipsed all other combined primary- and general-election spending in past races for Arizona governor. Republicans spent about $33 for every primary vote, according to the vote count on Friday. The Republic’s analysis included spending by all candidates — Republican, Democratic and third-party contenders. This year’s spending is double the 2010 gubernatorial primary race, when $8.1 million was spent. That year, all but $350,000 was spent by candidates. In 2006, candidates spent $3.7 million. In 2002, when Democrat Janet Napolitano and Republican Matt Salmon battled primary rivals for their party’s nominations, all candidates combined spent $9.2 million. The analysis for all years did not include spending by the Democratic and Republican parties. Increased spending is part of the new political landscape following the U.S. Supreme Court’s 2010 Citizens United vs. Federal Election Commission ruling, said Max Fose, campaign manager for unsuccessful Republican gubernatorial candidate Scott Smith. The ruling eliminated spending limits on certain outside groups. “I think everyone was surprised by the amount of money that was spent,” Fose said. “And I think this is the way it’s going to be from here on out. Everyone’s going to plan on running two campaigns: a ‘dark money’ campaign and a candidate campaign. And it helps to have a fat wallet. Doug Ducey, who won the Republican nomination, lent his campaign $2.4 million and raised another $2.4 million. Former GoDaddy executive Christine Jones spent more than $5 million, nearly all of it her own money, to finance her campaign. Smith, meanwhile, poured about $150,000 of his own money into a war chest of more than $1.2 million. Jones, a first-time candidate, had to spend a lot of money early in the primary to introduce herself to voters, her spokeswoman said. Candidates added funds in response to negative ads funded by outside groups attacking their business records, resumes and “liberal” positions on issues ranging from comprehensive immigration reform to the Kyoto Protocolon the environment. Outside groups poured about $3.2 million into the primary race. In many cases, the source of the money and the motives behind it weren’t clear. Some of the outside dark-money groups are not required to disclose where their money came from due to U.S. Supreme Court rulings lifting contribution limits and disclosure requirements for certain political groups. For all the money spent, Scheel pointed out, Republican turnout was lower than in 2010. As of Friday, Republicans cast 484,095 votes, about 100,000 fewer than the 585,851 GOP votes cast in the 2010 primary. Ducey expects to broaden his base of support before the Nov. 4 general election, she said. Richard Hasen, an election-law expert at the University of California-Irvine, said the spending this primary doesn’t mean every future election will be more expensive. Reprinted from The Republic. Article by Yvonne Wingett Sanchez and Rob O’Dell, The Republic | azcentral.com. Read the original story here.